This week was a rough one - just because it was my first full week back after a nice long holiday break from both work and school. I'm happy it's nearly the weekend though - my birthday is Monday, so we will be doing a bit of celebrating over the next couple of days! 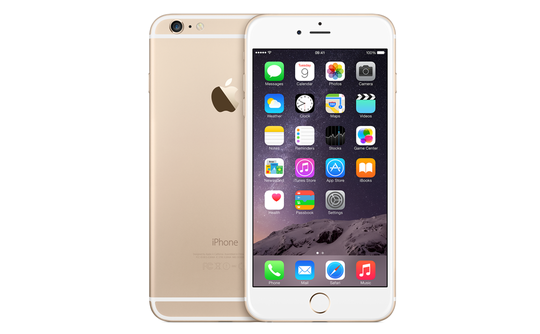 My birthday present to myself this year...replacing my ancient iPhone 4 with a gold iPhone 6...I'm so excited! Actually what I am most excited about is the camera... I can't wait for better quality pictures since I use my phone camera so much, and the 4 just takes grainy pictures all the time. I attempted "Pinterest worthy" Christmas wrapping this past holiday...I got close...well, at least way better than years before - but it's still a work in progress! I think it's much more challenging than it looks, and a pretty expensive endeavor too! 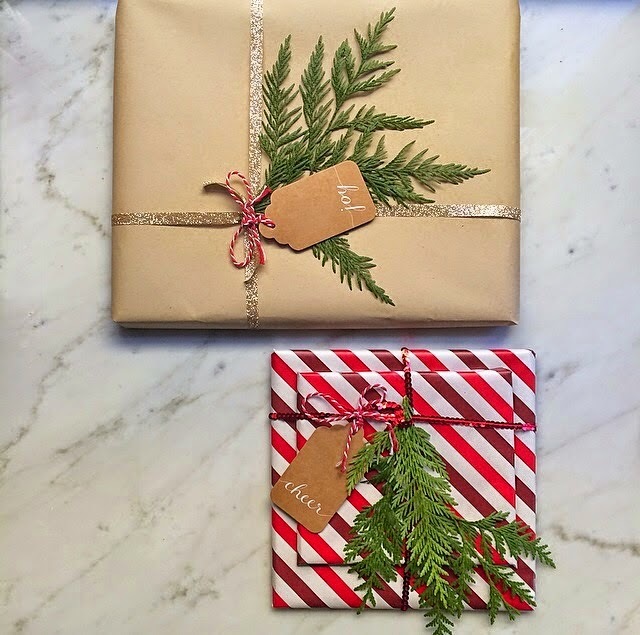 I never realized how pricey all the gorgeous wrapping materials are! I found this lovely ivory Old Navy coat on eBay and scooped it up for just $22.00! Love the look of this awesome recipe from Jaclyn's blog - Love and Bellinis! That dish looks so delicious! Your wrapping looks awesome and you're spot on, it gets so expensive to make them cute and trendy! Hey! 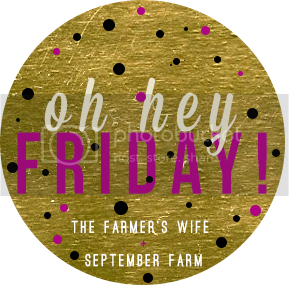 Found your blog through the Five on Friday Link Up. Your pup is so cute! You are going to love the iPhone 6!! And that coat is gorgeous! Happy Friday! Yay for a new phone! I have the Iphone 5s in gold and I love it. You did great on wrapping your presents! I think they totally look pinterest worthy. :) Hope you have a great weekend! I love the gold!! Have fun with it. Your presents are picture perfect!!! 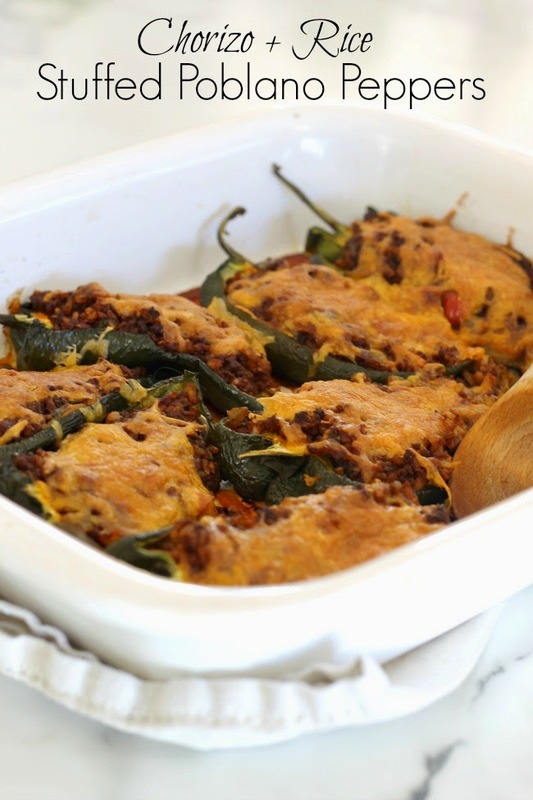 Oh, that chorizo dish makes me drool. What a good ebay find... there are some serious treasures on that sight!